Previously the biggest eating attraction in Sport Arena/Midway area in was In-N-Out, L&L Hawaiian BBQ and most recently Chick-Fil-A. But there’s a new star shining with Phil’s BBQ. The original location in Mission Hills is still around but not currently in operation due to the opening of their new Sports Arena franchise. The Mission Hills store is cozy and on weekends during the noon and dinnertime around, the average waiting time for food is 45 minutes. So my routine when craving some Phil’s BBQ is to call an hour before my usual time to eat. 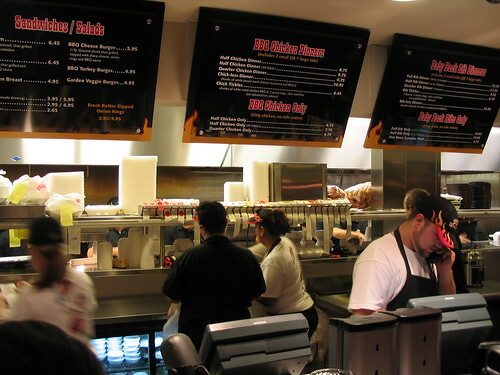 In comparision, the Sports Arena location is speedy with an average food preparation time of 15-20 minutes. The menu is the same in both locations. No increase in price from last year as far as I can, tell but the place is massive. About four Mission Hills stores could fit into the Sports Arena franchise which was a soup and salad place in a former life. 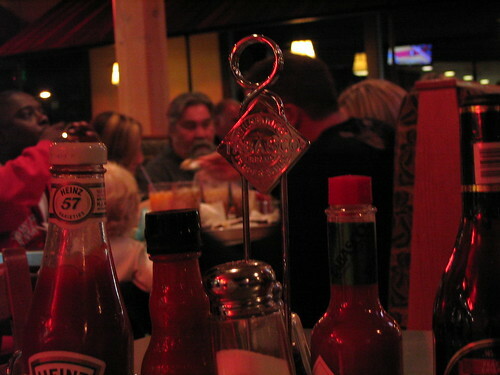 Even on this particular Wednesday night, almost every table was full and the line was out the door. It seemed like entire families were out trying the new Phil’s BBQ location and to keep the kids occupied was someone shaping animals out of balloons. 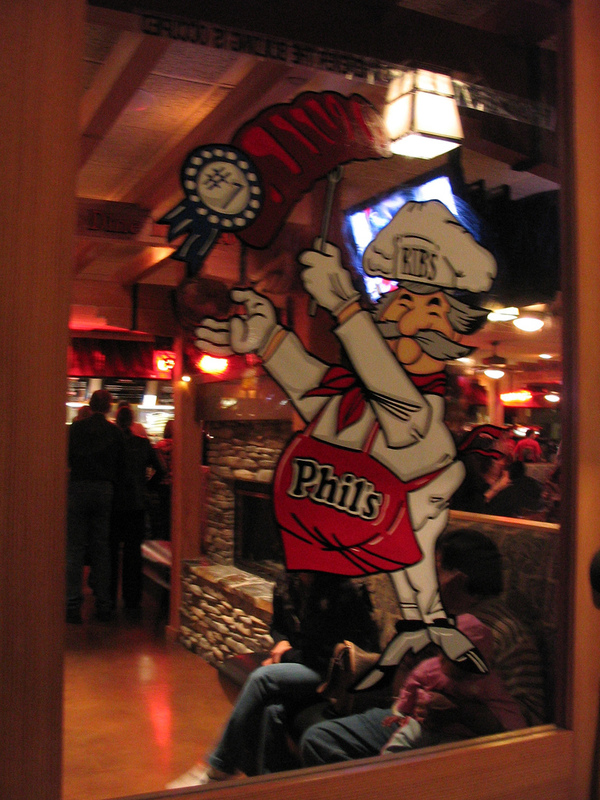 The usual two months the Phil’s is closed for cleaning the the winter holiday was too long. I ordered my usual chick tickler ($6.45 for five chunks of boneless chicken, coleslaw, fries and two onion rings) while my ride for the evening was treated to a medium-well cheeseburger ($5.95). Both were slathered with Phil’s signature BBQ sauce which was still saucy sweet with some secret ingredient the made our mouths tingle. Unfortunately, the cole slaw was still blah and not seasoned to my taste. 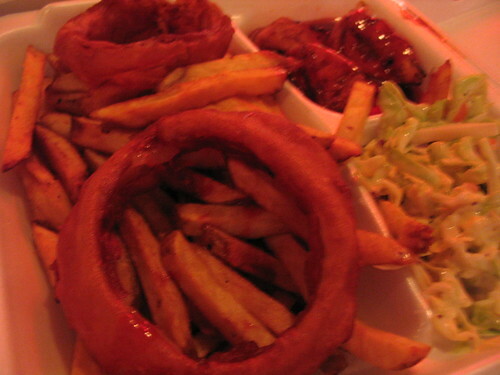 But the fries and onion rings were more than enough. 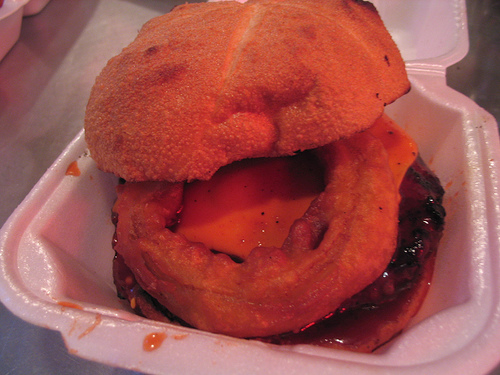 Especially delicious when dipped in any remaining BBQ sauce. The final verdict on the new location? Spacious and a bit too loud. Give me the Mission Hills location any day. At least I can walk from my place. The onion rings are huge! 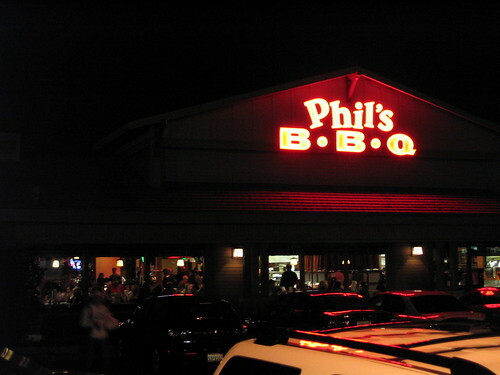 Glad to hear that Phil's has expanded.